Home > Finance > A fast, accurate and friendly service which far exceeded my expectations. I believe that good work should be praised and I am happy to confirm that London Translations provided a fast, accurate and friendly service which far exceeded my expectation. I had a web site translated from English to Chinese, it took just one day and the returned documents were in my preferred format and the translations to a very high quality. 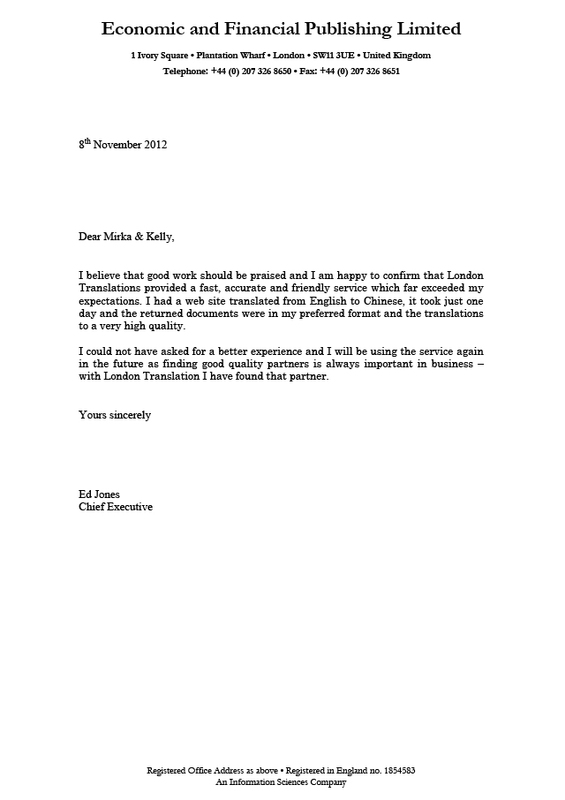 I could not have asked for a better experience and I will be using the service again in the future as finding good quality partners is always important in business – with London Translation I have found that partner.